In the Wellness world, it seems that CryoTherapy is the new black. You see beautifully-sculpted athletes, pretty and pampered celebrity figures, as well as the everyday layperson touting its amazing benefits. But, many have asked, does this really work for pain reduction and can it work for me? To answer that question, we must first take a look at how whole body Cryotherapy works. And basically, it can be boiled down to a few steps. To understand how it reduces inflammation, increases endorphins, and provides pain relief can be sourced from a collection of studies and clinical observations. Many liken the Cryotherapy experience to an ice bath. Although they are both “cold” treatments, they are drastically different. One of the main differences is what happens to the blood. With an ice bath, the body experiences Vasodilation, where the body attempts to warm blood in its core and send it to the peripheral tissues to prevent the skin surface from freezing. 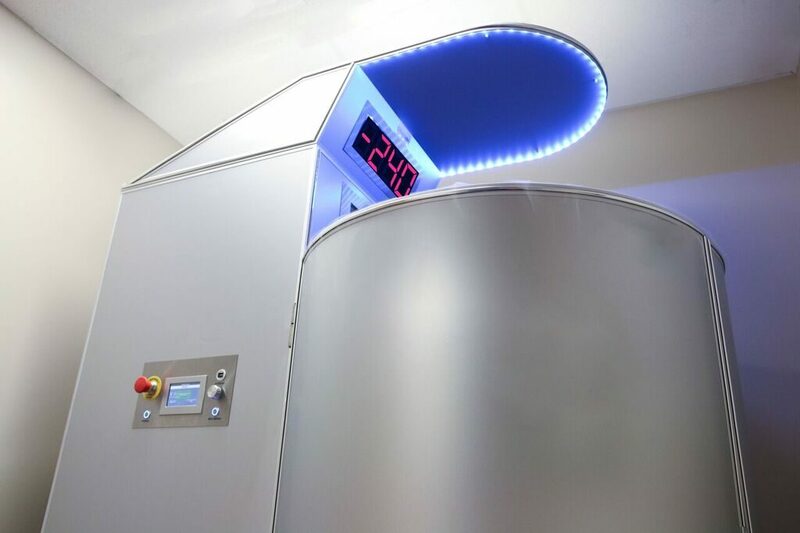 With whole body Cryotherapy, the body experiences Vasoconstriction, where the body constricts peripheral tissues sending blood from the skin surface, muscle tissue, and surrounding joint space to the core to protect core temperature. With Vasodilation, the tissues begin to freeze and muscles temporarily lose capacity and when you finish the ice bath, the body must rest. With Vasoconstriction, muscle tissues do not freeze, and after the Cryotherapy session is complete, the blood flows back to those tissues and warms them immediately. As the blood travels from the core to those tissues, one feels a sense of euphoria and natural endorphins begin to increase and that blood comes back cleansed of inflammatory properties. Many doctors and scientists have conducted many studies on the benefits of Cryotherapy; including a 2015 study on the Mechanisms and Efficacy of Heat and Cold therapies for Musculoskeletal injury. In one part of this long study, authors Gerard A. Melanga, Ning Yan, and Jill Stark find that the …“The physiological effects of cold therapy include reductions in pain, blood flow, edema, inflammation, muscle spasm, and metabolic demand”. Dr. Rhonda Patrick, PhD, an expert in her field on aging, cancer, and nutrition, did some more research on the subject of cold exposure and Cryotherapy and came to some interesting findings relating to hormones and signals called Neurotransmitters that carry messages from our brain to our body. Relating to the most consistent and profound physiological responses is “…a robust release of norepinephrine into the bloodstream…” Norepinephrine is a hormone and neurotransmitter which involves vigilance, focus, attention, and mood. The incredible thing is that, as a hormone, when Norepinephrine is released into the bloodstream, it acutely increases vasoconstriction. Dr. Patrick also remarks one last thing about our friend Norepinephrine, “it also has profound effects on pain, metabolism, and inflammation”. Her article, of course, gets more technical and goes much deeper. But, again, we see multiple parts of the body working together towards some positive effects when one is exposed to a cold air treatment. Without question, the amount and peculiarity of diseases, illnesses, and chronic conditions seem to continually grow. Plus, our environment, diet, and lifestyle have changed in such a way that ignoring the connection between these two is hard to do. In a nutshell, many academics in the scientific community conclude that more comprehensive clinical trials are needed in order to grasp a wider understanding of the profound effects of Cryotherapy on the body and its connection to pain relief, inflammation reduction, disease, and illness elimination. One thing the science will never have, and which is growing at an exponential rate in the Cryotherapy industry, is real testimonials from real people whose lives have changed in a positive way and who absolutely swear by this ultra cool treatment. Pun absolutely intended.